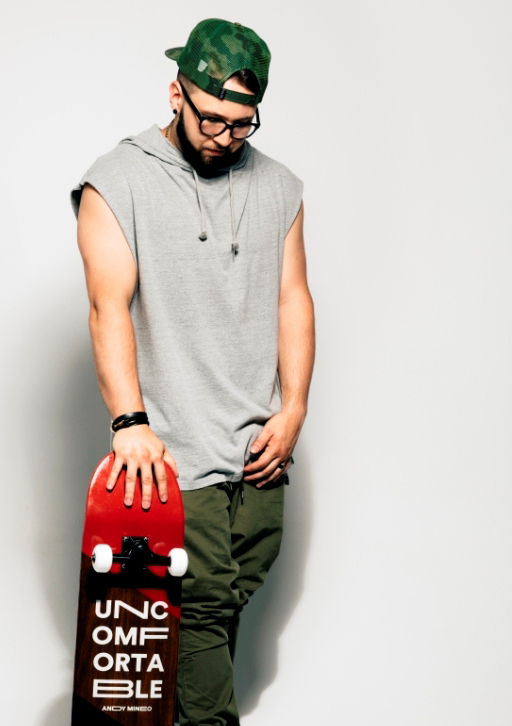 It’s no secret that Andy Mineo is fond of skateboarding. He’s been photographed with skateboards and they’ve made appearances in his songs and music videos. But Mineo may be on the verge of trading in his regular board for a more technologically advanced version. Mineo fell in love with the device, but was still perplexed about where it came from. “I was waiting for someone to send me a message explaining why they sent it to me, but nothing materialized,” he said. The mystery was finally solved after he had a conversation with his close friend, Lecrae. “I was telling him about how this board mysteriously appeared at my house, and he fessed up. He sent it to me as a gift,” Mineo said. But that wasn’t the only gift Mineo has received lately. He considers headlining his first tour to be a gift from God. On the day we met, I was able to experience how much Mineo’s message resonates with his fans. As I stood in a hot auditorium with around 1,700 others, chants of “ANDY! ANDY! ANDY!” filled the room until the rapper graced the stage and led the audience on a sonic journey through joy, despair, love, and victory. Before the concert, Mineo sat down with me to discuss hip-hop, American culture, and the benefits of being uncomfortable. Mocha Man Style: How did you get started in the music industry? 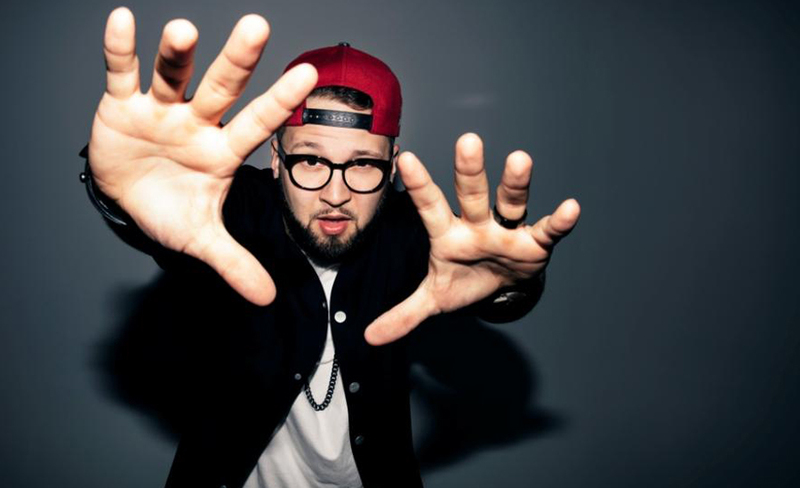 Andy Mineo: My friend, Ryan, and I started off as break dancers. We bought CD singles of the songs we liked (we couldn’t afford the full albums) so we could dance and rhyme over the instrumental tracks. We made parody raps and wrote new lyrics to the songs. Eventually, we found some free looping programs and started making our own songs. Little by little, we’d save enough money to buy a few pieces of recording equipment. After I graduated from high school, I went The City College in New York and studied Audio Design. I kept making music along the way until I was signed to Reach Records in 2011. MMS: Artists like you and Lecrae have experienced huge success with music that is somewhat contrary to mainstream hip-hop. Why do you think people are drawn to the message you’re delivering through your music? Mineo: God has been opening so many doors for us and He has delivered us a strong base of supporters. People have responded to the music because it is speaking truth into their lives. At first we had some pushback from the record labels because they are interested in numbers. We don’t care about numbers. We care about changing lives. Music is a springboard for meaningful conversations and can help people to develop closer relationships with God. The people validated our message by buying the music. I’m thankful for that support. MMS: How does the city of New York influence your music? Mineo: Obviously living in New York gives me access to people in the music business that others may not have. But I like to feed off the energy of the city. It’s vibrant and rich. The city’s diversity also gives me a much broader perspective. MMS: You titled your latest album, Uncomfortable. Why did you choose that title? Mineo: Because it’s an honest word for where I am right now. I’ve had to learn to embrace discomfort and let God mold me into the person He wants me to be. It hasn’t been easy, but I’ve grown so much because of my discomfort. MMS: Do you believe that today’s culture has become too comfortable? Mineo: Yes, I do. We live in a country that is among the top 5% of wealthy countries, yet we find things to complain about every day. When our privilege becomes the norm, then we become less interested in helping others. If we continue down this path, our society will become a dystopia. MSS: How do you guard yourself from becoming too comfortable? Mineo: My wife and I are aware of our privilege and we work hard to stay grounded. I stay connected to my local community and try to be home on Sundays to attend worship services. I used to be a huge sneakerhead until my wife made me realize that we could use the money I was spending in sneakers to help others. Now I only buy two pairs of sneakers a year (this year it was Asics Undefeated Gel Lyte III and Yellow Converse Chuck Taylor All Star II). I use the rest of the money to buy sneakers for kids who actually need them. In addition, I build in regular mission trips and use my artistry to reach out to people who need to hear this message. I just did some shows at Rikers Island and L.A. Country Jail. It was humbling to hear all of those guys reciting every word to my songs. Their stories moved me to keep doing what I can to impact people’s lives in a positive way. MMS: Last year, you opened for Lecrae. This year, you’re headlining your own tour. What did you learn for that past tour that you’ve incorporated into your show? Mineo: I learned how to carry a show for an hour and a half. When you’re the opening act and you only have 30 minutes, it’s easy to keep it turnt for the duration of your set. But when you’re the headliner, you have to build a show that takes the audience through moments and makes authentic connections along the way. I also have the weight of setting the tone for the tour bus. Everyone looks to me for leadership and I must make my expectations clear through my behavior, words, and actions. MMS: Do you feel as if you’re a role model? Mineo: When people flock to you, you’re in a position of influence. I try to live my life in a way that’s honest and authentic. If I can use my gifts to have a positive influence on someone, then I’m fine with that. MMS: What advice do you have for today’s youth? Mineo: Learn to think critically. Young people are greatly influenced by the media. Without critical thinking, you will be easily swayed by the messages that are bombarding you daily. Ask questions, study, investigate. Don’t take things on face value. MMS: Final question. Who are the top five rappers of all time? Mineo: Oooh. That’s a tough question. I’ll have to go with Jay Z, Biggie, Nas, Tupac, and Eminem. They’ve probably had the biggest impact on hip-hop. 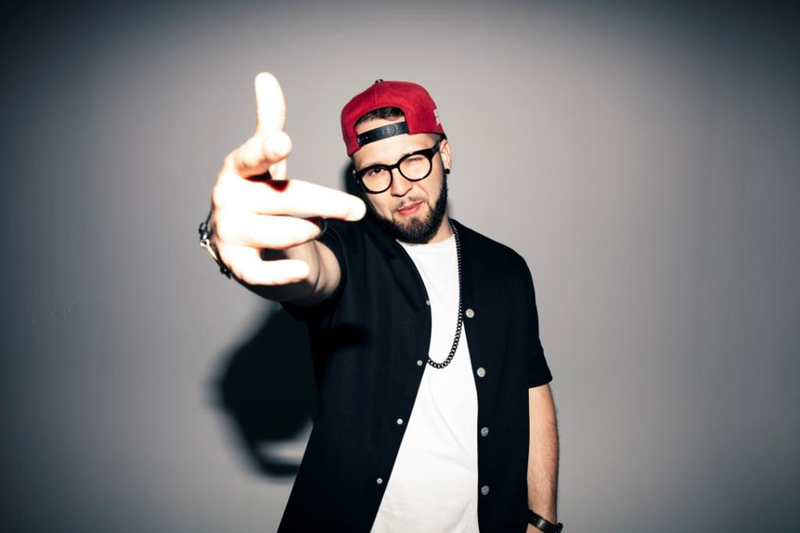 Andy Mineo is currently on tour to promote his “Uncomfortable” album. 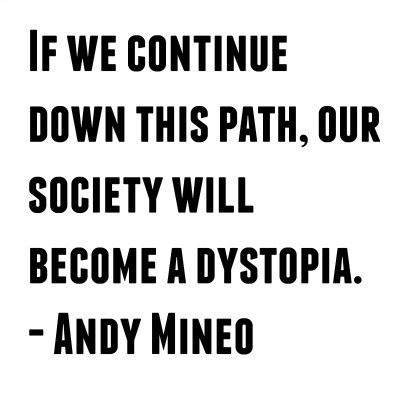 Visit AndyMineo.com for dates, locations, and to purchase tickets.